When you read the words “RIGHT” or “LEFT” guests should pass their gifts in the appropriate direction. At the end of the story, the gift in their hands is the one they keep. 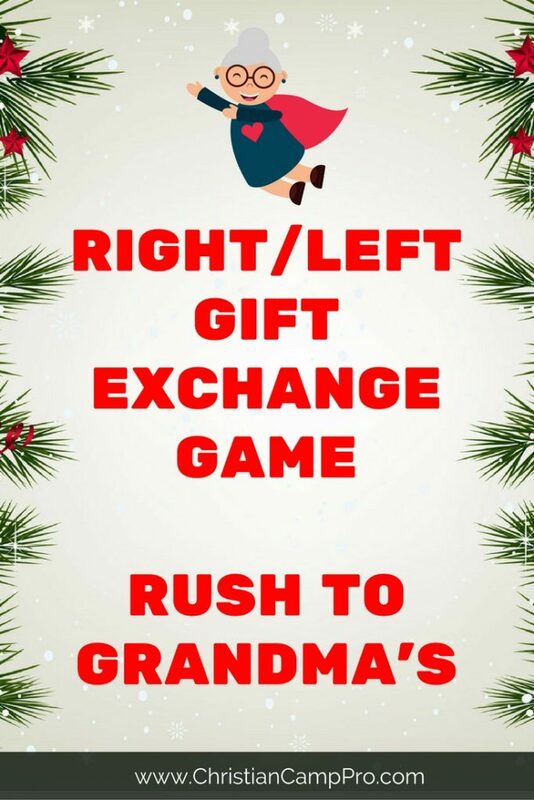 This is a great way to pass out Christmas presents, door prizes, gag gifts, etc. The children were already waiting RIGHT at the front door when Mother and Father finally descended the staircase. The family snatched their coats RIGHT out of the hall closet and hurriedly pulled them on before scurrying RIGHT out the door to the car. Falling snow had LEFT a sparkling blanket of white over the yard, but the frazzled family flew RIGHT by it without noticing its pristine beauty. He swiftly backed the car out of the driveway and then sped RIGHT off into the night. The children watched from the windows as the car raced RIGHT past houses brightly lit from top to bottom with festive lights. The lights blurred like watercolors as the family darted RIGHT by without slowing down. They passed a group of carolers joyfully singing Christmas songs, but their voices were drowned out and lost in the flurry of cold air and wet snow the car LEFT in its path. On and on the family traveled, every moment making them more anxious. 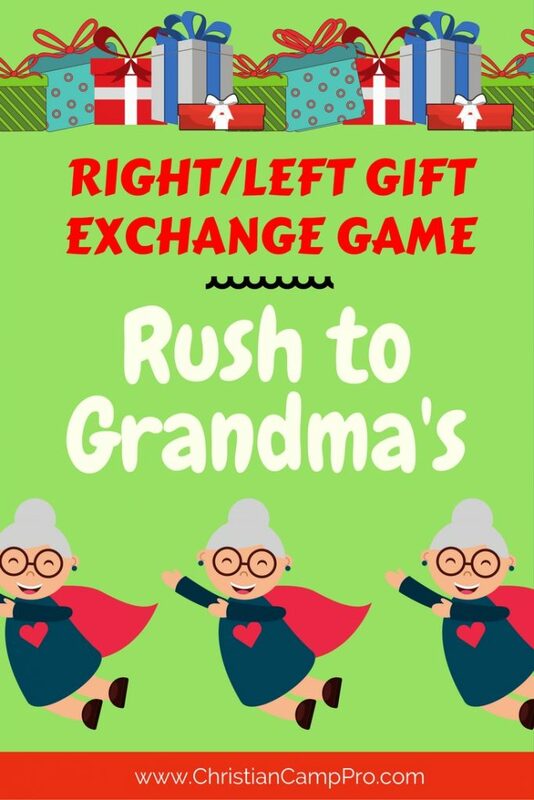 Would they get to Grandma’s house RIGHT on time? Would there be any pumpkin pie LEFT for them to enjoy? Father frowned to himself as he steered the car RIGHT out of town toward Grandma’s house. When had Christmas become so rushed? There were always so many things to be done. There seemed to be no time LEFT anymore to just relax and enjoy the magic of the season. Mother echoed his thoughts with a sigh. She remembered a time when she marked off the days LEFT before Christmas on a calendar and they never seemed to pass by quickly enough. Now the days were gone in a rush of activities and shopping and social events before she even had a chance to enjoy them. At last, Father turned the car RIGHT into Grandmother’s driveway. The family LEFT the car and rushed up to the door. The house was strangely dark and quiet as Father rang the doorbell. After a moment, the door opened RIGHT up and Grandma greeted them all warmly. She led them RIGHT into the kitchen where the sink and counters were still piled high with dishes LEFT from dinner. “Where is the rest of the family?” asked Father. Grandma uncovered the dishes of food and the family sat down together for dinner. They ate slowly, enjoying Grandma’s delicious turkey and stuffing. The family members that had already come and gone had been in too much of hurry to even have any pumpkin pie and there was plenty LEFT for Father and Mother and the children to enjoy. After dinner, the children were led RIGHT into Grandma’s parlor where her huge Christmas tree sat glittering with lights and ornaments. Grandma had LEFT beautifully wrapped presents beneath the tree for each of them and they all took turns opening their lovely gifts and thanking her for her kindness. When the presents were all opened, the family LEFT the parlor and went RIGHT back to the kitchen to help Grandma clean up. Mother and the children laughed and joked together as they cleared the dishes that had been LEFT on the table. Father and Grandma sang Christmas carols as they scrubbed pots and stacked plates. The rest of the evening was spent talking and laughing and time seemed to slow RIGHT down for a while as they all enjoyed each other’s company and basked in the magic of Christmas.